Jump-start your daily meditation practice with this four week class! Daily meditation is an essential part of our health—physically, mentally, emotionally and spiritually. This class will help you ease meditation into your daily routine. We will be working with breathing exercises, mindfulness practice, and creating a ‘meditation station’ for our homes. 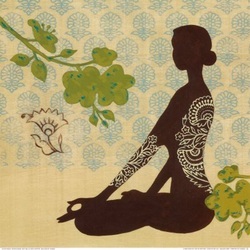 Meditation is a practical therapeutic tool that helps us with daily decisions, relationships and peace of mind. The class will be held at Unity Northwest, 259 E. Central Rd, in Des Plaines, IL. Unity Northwest is a center for spiritual growth that offers tools for living at every level of expression. The series is offered on a free-will offering basis, and a collection will be received at each class. For more information, call 224-828-0877.